INTRODUCING NEW COMFORT WITH PROTECTION! Wear it slim for work/school or expand to enable travel-mode, this Leather Anti-Theft Luggage Backpack is all you need for all your trips. 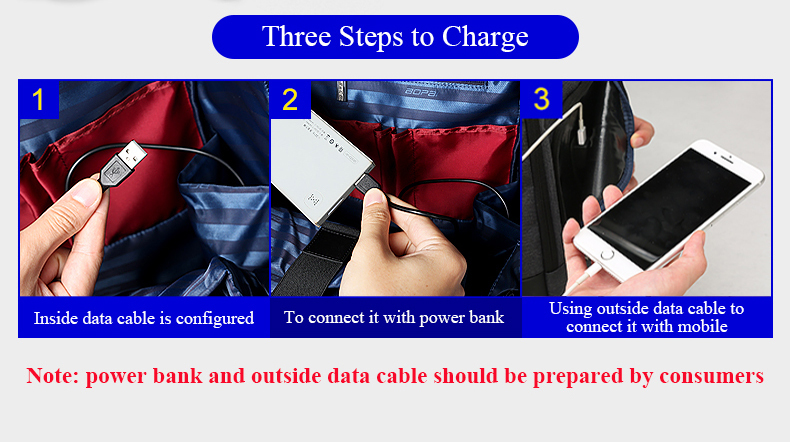 A bestseller for its fail-proof invisible anti-theft pocket, on-the-go USB-charging slot, highly accessible card/id slot located on the backpack strap, and highly convertible design (backpack, hand luggage, or briefcase)! With its invisible pocket, you can guard your wallet and phone effectively while comfortably wearing the back on the back. No more panic situations when your card, ID, and keys seem to be lost in the depths of your bag! Our hidden card slot stealthily located in the straps can provide these items easily accessible for you! Get your very own Leather Anti-Theft Luggage Backpack now while supplies last! Items come in 4 days after order. Backpack lived up to expectations. Excellent backpack. Come quickly, without any problems. Large, sturdy. Very spacious, laptop inside is roomy. Backpack is very good! Recommend product and seller, totally worth the money. Ordered a man wanted to 23 Feb make gift, had to give early :))) is great! The Seller is very fast, not able to communicate, once sent a message that the goods sent. Backpack come moskvu for 5 days, courier delivered directly to your home (ordered the sending of Russia). Finally in backpack fit thick laptop Dell 7577 15,6 ". Sitting in the back like a glove compartment for things,, many pockets. Notebook compartment уплотнённое with inserts, protect computer well. Comfortable, inside the light fabric, easy to find the right thing. IN general, very decent and Universal City backpack, for girls, too came to be. The Moisture protection not checked, but check medium and light rain likely pass, fabric water repellent, zipper covered with special. material. Lovely backpack after 2,5 years ordered new in blue, 15 inch the most convenient, one of the few backpacks replace that can only be the same, more renowned brands not even close to the ergonomic. Received after 5 days after the order is fine. Delivery for three weeks, backpack large capacity, very much, made of durable material, many pockets, one can see quality, factory thing: Never stick, straight lines, backpack recommend. Backpack the type of high quality sewn. Nice stuff. Come for 44 days. IN a gift mouse pad. Good quality backpack! 100% happy with purchase. Completely fit the description. IN a gift mouse pad. Thank you very much! Recommend. Backpacks are wonderful. High quality fabric and zipper. Satisfied with the purchase. It's time. The seller is done. High quality backpack. Come for 20 days, it certainly is longer than the bag of this same store (6 days), but still good. Very much. For your height 186 cm and weight 105 kg, the doctor ordered. Laptop 15 inch with bag whistling intermeddle and more free space remains. Do not recommend to buy, who below Height 170 cm, it you under knees will beat))) the carpet was a gift (for free sweet vinegar)))). The photo compared with ordinary backpack. Seller and brand Kingsons respect and uvazhuha!!! Thank You very much! Very happy shipping, was a week! Recommend! Suddenly a quality, cool backpack! Fully consistent with the description, recommend to everyone! Do not hesitated during transport, got to Bulgaria in about a month of China. Nice backpack. A lot of departments. Separate pocket with zipper FOR THE, other sundries. And a bunch of smaller. Backpack is very much. Good materials. The quality is excellent. Very convenient location of pockets and departments. Shipping and delivery is very fast! Recommend! Nice backpack. Delivered quickly. A Little annoying that the department where reinforcement ribs up they just run into the zipper. Think over time in these areas will be a problem. Thank you for small gift. THE rest of the most comfortable urban backpack. The damage knife not try and do not want to. But still would like to pocket at the top under the handle was slightly 1-2 cm deeper -There would just got my smartphone, and so it will stick out, And Zipper zip.